The Executive Board of freenet AG currently has five members. The chairperson as of 1 May 2009 is Christoph Vilanek (CEO). After studying business administration at the Leopold-Franzen University in Innsbruck (Austria), Christoph Vilanek began his professional career with the publishing house Time-Life International. Before becoming managing director of the online fashion business boo.com, he worked in various positions within the mail-order business. 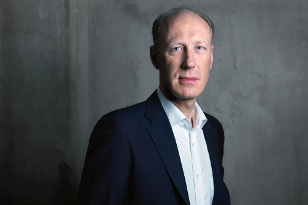 In 2001, the native Austrian switched to the management consultancy McKinsey, where his focus was on the field of telecommunication in Germany and Eastern Europe. In 2004, he became joint managing director of iPublish, a subsidiary of the Ganske publishing group in Hamburg. 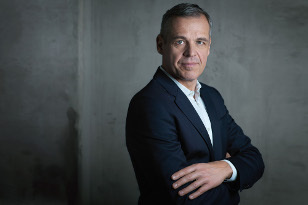 Before his appointment as Chief Executive Officer of freenet AG, Vilanek held various positions from 2005 until 2009 within the area of customer communication, customer development, customer service and customer retention at debitel AG in Stuttgart. Vilanek is married with two children. After studying business administration, Ingo Arnold began his professional career in the Treasury division of Henkel KGaA in Düsseldorf. There he gained over 10 years of experience in various financial functions. After a three-year experience as Head of Treasury at Veba Oil & Gas, he joined debitel AG in the telecommunications sector in 2001. From 2008, he worked for freenet AG as Head of Finance & Investor Relations. 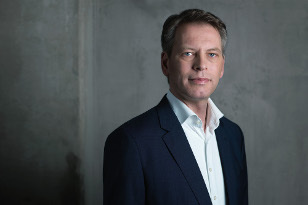 Since 1 January 2019, Ingo Arnold is the CFO of freenet AG. Born in Cologne, he is married and has four children. Stephan Esch studied business informatics at the University of Göttingen. Following positions as key account manager, assistant to the management and independent consultant, he spent one year as managing director of AIS Axon Internet Services GmbH, Göttingen, the legal predecessor of freenet.de AG. Since the conversion of AIS Axon Internet Services GmbH into freenet.de AG, Hamburg, Stephan Esch was first head of navigation services, head of portal technology and head of IT with freenet.de AG before being appointed to freenet.de AG’s Executive Board. Stephan Esch had been Chief Technical Officer (CTO) of freenet.de AG, Hamburg, since 2 November 2004, and since 9 November 2005 also CTO of mobilcom AG, Büdelsdorf. With completion of the merger of freenet.de AG and mobilcom AG into freenet AG in March 2007, Stephan Esch became CTO of the new company. The native Canadian is married with two children. 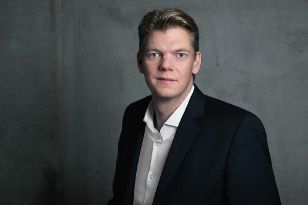 Antonius Fromme has been the Chief Customer Experience Officer (CCE) of freenet AG since 1 June 2018. In his function as member of the Executive Board, he is responsible for the direct customer activities in the company's core business of mobile communications as well as all online and offline marketing activities. He is also responsible for digitalisation of all customer interactions and transactions. The graduate business engineer of the University of Karlsruhe has been with the freenet Group since 2009. 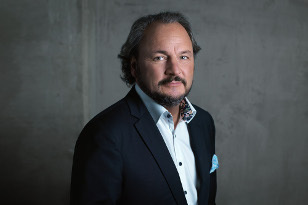 As managing director at freenet AG, he is responsible for the business and development of the no-frills provider klarmobil.de with all corresponding brands. He is also responsible for development of the Digital Lifestyle strategy and Digital Lifestyle portfolio within the freenet Group, marketing, the company's online presence and sales of the products of mobilcom-debitel and also for management of existing customer business. Born in Paderborn, he commenced his career in mobile communications in 2001 with debitel AG in Stuttgart, and can look back on many years of experience in the telecommunications sector. After completing his legal studies, he commenced his career initially as a lawyer before joining debitel AG in Stuttgart in 1999 as association manager for the international companies of the debitel Group. Rickmann v. Platen has been a member of the Executive Board of freenet AG since June 2018 and, in this function, he is responsible for partner management with relations to mobile network operators, device manufacturers and the high-street sales partners of the freenet Group as well as offering and product management and indirect procurement. He is also managing director of mobilcom-debitel (since 2012). Previously, Rickmann v. Platen carried out various management functions at debitel AG and - following the merger with mobilcom – in the merged company mobilcom-debitel. Rickmann v. Platen is married, has five children and lives in Hamburg. Additional information on the duties and the functioning of the Executive Board can be found in the corporate management statement.